The City of Hoboken, in partnership with Bike and Roll, nextbike, E3Think, and P3 Global Management, and, is announcing the pre-sale for Hudson Bike Share, a Hoboken-based regional bike share program, in advance of the planned launch in September. Beginning today, residents and visitors can immediately register for annual memberships by visiting www.hudsonbikeshare.com or through the nextbike mobile application. Annual memberships purchased before the launch will cost just $75 – a $20 discount off of the regular $95 annual fee. 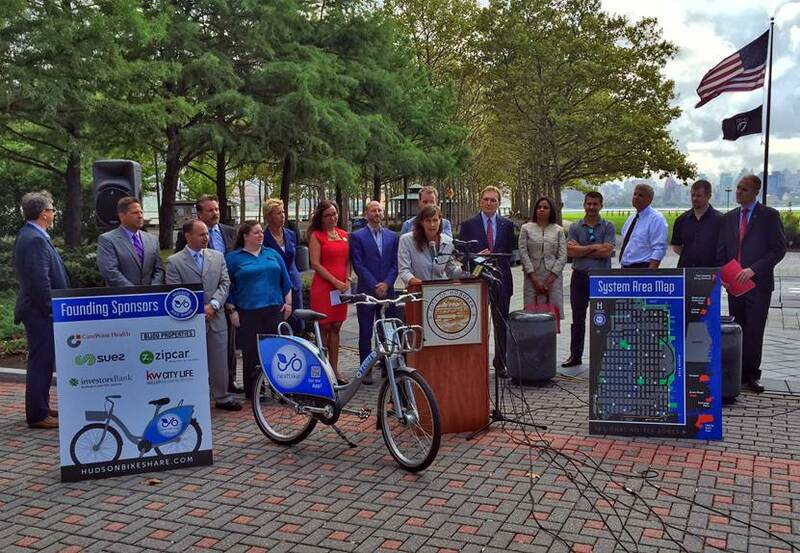 The first phase of the program will feature 250 bicycles with next-generation "smart-bike" technology and 29 official stations in Hoboken. Users may ride anywhere within or outside of Hoboken during their rental. In addition to the 29 official stations within Hoboken, this first-of-its-kind program will permit riders to connect to regional transportation options and make longer visits to neighboring areas by allowing them to return and rent bikes from several locations outside of Hoboken without added fees. Thanks to on-board GPS technology and an integrated cable lock, riders will not be charged a fee for returning bikes to any legal bicycle rack within designated ‘Regional No Fee Zones’ outside of Hoboken. Bicycles that are not returned to official stations will be charged a $10 fee within Hoboken and $25 fee outside of Hoboken, with the exception of designated Regional No Fee Zones. Hudson Bike Share's founding sponsors are Carepoint Health, Bijou Properties, Suez North America, Zipcar, Investors Bank, and Keller Williams City Life Realty. Sponsors will be recognized on bicycle panels and at select stations. Additional station sponsorships and corporate and group discounts are available. For more information, contact corporate@hudsonbikeshare.com. The system will feature “smart bikes," the next generation of bike share technology. Whereas traditional bike sharing systems rely on a "smart dock" approach for storing bicycles, which requires expensive infrastructure for docking stations, the "smart lock" approach features bicycles with built-in locks, GPS, and communications equipment, providing increased flexibility at a fraction of the cost. A common challenge with traditional bike share technology is the inability to return a bike at a station that is full, however even if a station is full, Hudson Bike Share members will have the ability to lock up at any standard available bike rack that is nearby or to lock the bike to itself and leave it next to the station. The system will feature four stations with smart docks and kiosks at high-traffic locations along with 25 stations using standard bicycle racks. Pricing options will include annual memberships along with weekly and daily passes. Annual memberships will cost $95 and include unlimited 45 minute rides. Additional fees will apply for exceeding the allotted time. 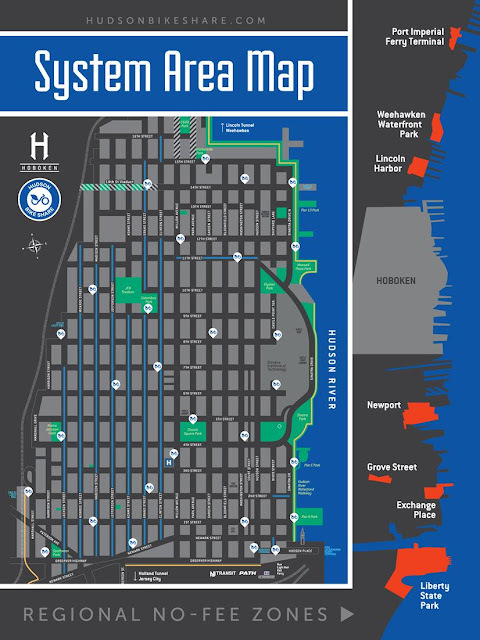 Customers will be able to register online at hudsonbikeshare.com, using the nextbike smartphone application, or at solar-powered kiosks at select stations. Members will be able to rent a bicycle via the nextbike mobile application (iOS, Android, Windows), with a smart card, at kiosks, or phone call via an interactive voice response system.